Eagles linebacker Kamu Grugier-Hill apologized to Philadelphia head coach Doug Pederson for calling the Cowboys “chokers” earlier in the week. This all started Wednesday when Grugier-Hill, who is in the middle of the best season of his career, said the Dallas organization has a history of choking. “So we’ll go down there and make them choke,” he added. Pederson called those comments “unfortunate” and said they don’t need to give their opponents anything that could eventually be used against them. 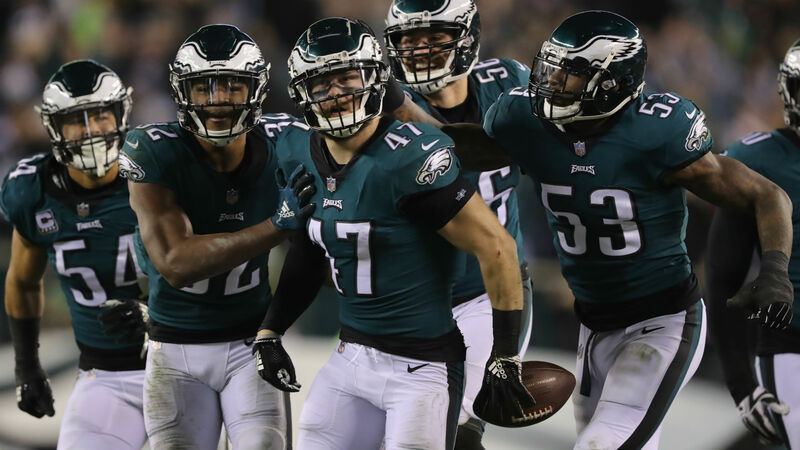 “I talk to the team a lot about how we don’t need to post anything that can be used on other teams’ website or bulletin board,” Pederson added. The 7-5 Cowboys enter Sunday’s contest as 3.5-point favorites over the 6-6 Eagles. Baker Mayfield is Older than the Other Quarterback Prospects, Does It Matter?